Insurtech UK. Together as one. We are an alliance of 43 insurtech startups and brands. Our founders have come together to speak with one voice about specific insurtech-related issues and needs arising out of the technological revolution in the sector. Our mission is to use technology to improve insurance and risk management for customers, and make the UK the best place for innovating insurance in the world. Broadly, the alliance has the short-term goal of engaging with existing stakeholders in the sector - from trade and professionalism associations to UK Government bodies championing the vast potential of the wider U.K. digital economy. We intend to complement not compete with existing conversations. Our voice is that solely of the UK’s growing Insurtech community and our key focus will be on customer outcomes. 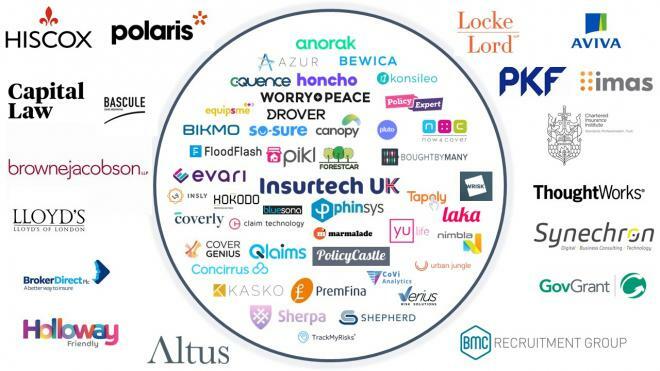 ©2018 Insurtech UK. All rights reserved.